IC Base or sockets are usually preferred instead of directly soldering IC to the PCB. 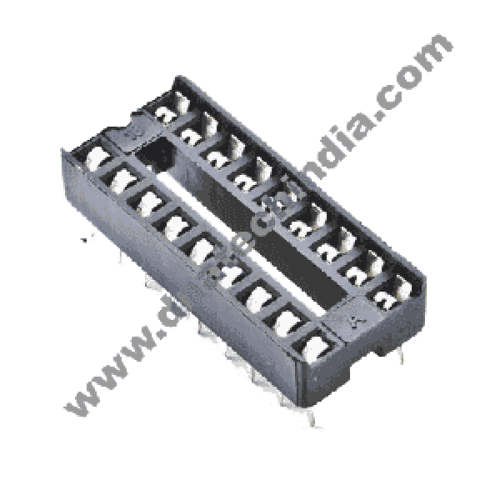 They help in providing safe removal and insertion of IC chips.They are also used for prototyping new circuits because they allow easy component swapping. 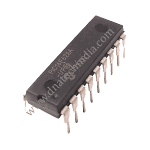 This is a low cost 18 pin IC base with a pitch of 2.54mm for DIP IC's. This IC socket is as you do not have to solder the IC directly. So if your IC gets damaged you can easily replace it without desoldering. Basically the IC base allows easy replacement of IC eleminating the risk of damage from overheating during soldering & desoldering process.